Ashley lays on the main transportation corridor of State Road 4 with an exit from I-69 laying on the east edge of the town limits. Our beautiful tree lined streets and lighthearted water tower welcomes all who drive the Interstate. State Road 6 only 4 miles to south. The Ashley Street Department maintains buildings and equipment for the maintenance of all town streets. 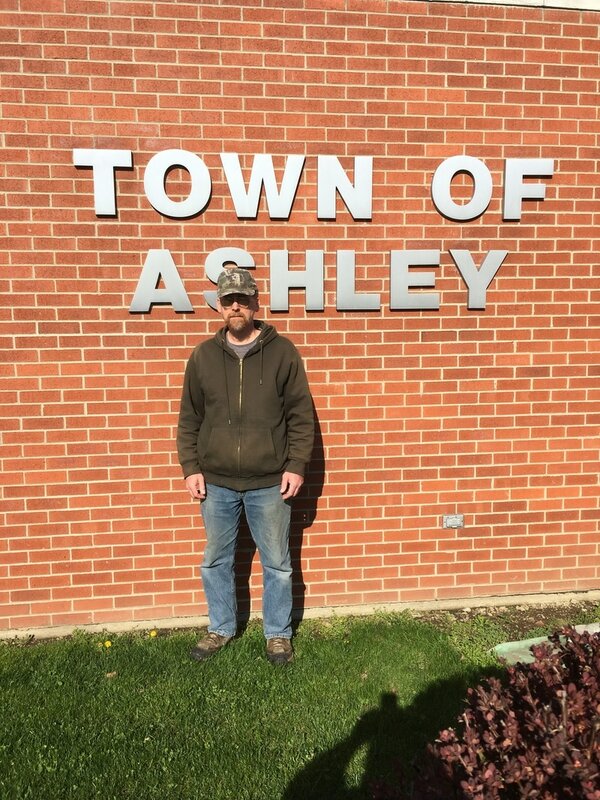 Ashley maintains 4 pieces of plowing equipment, 2 dump trucks and three pickup trucks. Abrasive distribution equipment is also used for icy conditions. Ashley currently picks up limbs, and brush on a regular basis from spring to fall. Ashley also removes all leaves and composts them on a site owned by the town. Compost Site Ashley maintains a compost site free of charge to residents. Residents can drop off material or remove compost. Only items four inches in diameter and smaller will be accepted, and shall be cut in shorter lengths for ease of handling. Yard Waste that will not be picked up: Grass clippings, hedge or shrubbery clippings, annual flower greenery (peonies, mums, etc. ), pine needles ,tree bark, etc. Garden Waste that will not be picked up: Corn stalks, tomato plants, pepper plants, etc. Brush from Storm Damage will be picked up as soon as possible after the storm. All brush shall be stacked neatly near the street. DO NOT STACK THE BRUSH IN THE STREET. All brush containing yard and/or garden waste will not be picked up until separated by the resident. Any person cutting a tree on their own property will be responsible for moving the brush. ALL YARD WASTE SHALL BE STORED ON YOUR PRIVATE PROPERTY, NOT IN THE STREET OR ALLEY RIGHT-OF-WAY. NO CONSTRUCTION WASTE OR DUMPING IS ALLOWED AT THE COMPOST SITE. ​Jim is responsible for all street issues as well as building permits, and also assists with parks. 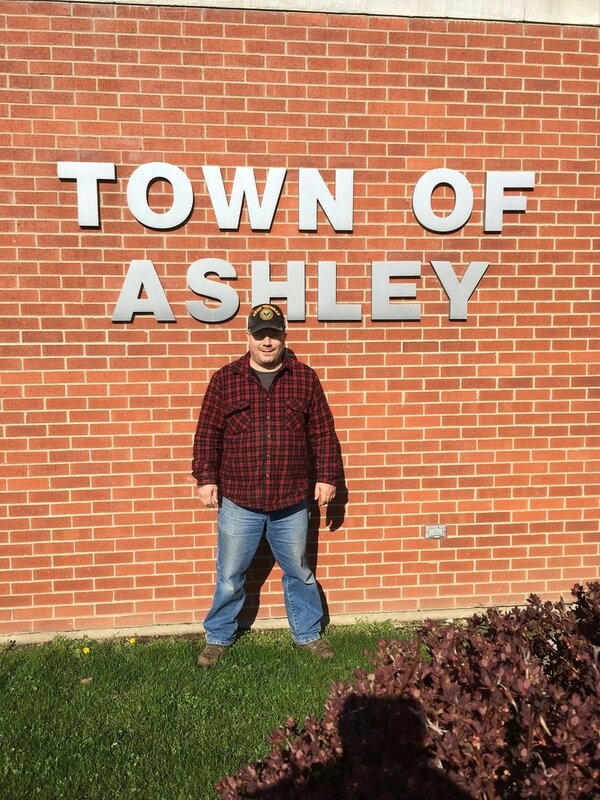 ​Dave is responsible for parks for the Town of Ashley, and assists with streets, and buildings.